Morocco has recently shaken the Polisario Front leaders so bad that they no longer know which way to turn. The separatist movement has actually been dealt several blows over the past three years. 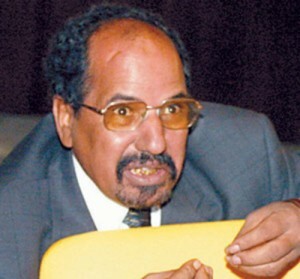 The Polisario was abandoned by the rightist Spanish People’s Party of Mariano Rajoy and the French Socialist Party of François Hollande at a time it was hoping to see the two European ruling parties shift their respective countries’ stand and stop supporting the Moroccan position in the Western Sahara conflict. Then, last week the Obama administration dealt the separatist front another blow when it expressed crystal clear support for Morocco and its autonomy plan that it described as a serious and credible solution to the long standing territorial dispute between Morocco and its neighbour, Algeria. Most recently in Spain, Spanish officials of the municipalities of Ramalis de La Victoria and Delardio have also cancelled the twinning accords they had signed with El Aaiun and Esmara camps, located in Tindouf, Algeria. For the Spanish municipalities officials, the twinning acts are illegal and do not meet the conditions laid down by the laws in force in Spain. In addition to that, several representations of the Polisario in Spain were forced to close down after the Spanish associations that allowed them to pay the rent and fund their activities stopped their assistance. Moreover, following the kidnapping of three humanitarian workers, two Spaniards and an Italian, in the Tindouf camps in 2010, Madrid, as a precautionary measure, had withdrawn all its workers from the camps. And best of all is that the European Union is concluding with Morocco a new fisheries agreement that covers the entire Moroccan coastline, including the Western Sahara coasts. All these developments have accentuated the international isolation of the Polisario and discredited its separatist thesis.